Joran is an international speaker who has shared the stage with Barbara Marx Hubbard, Ken Wilber, Jane Goodall, Michael Beckwith, Matthew Fox, Lynne McTaggart, Dr. Stan Grof, Howard Rheingold, Nate Silver, Gary Vaynerchuck and more. He has presented and led workshops at South by Southwest (Austin, TX), the International Academy of Design and Technology, Unity Spiritual Campus, Building the New World Conference (Radford, VA), The Parliament of the World’s Religions (Salt Lake City, UT), Embrace Festival (Portland, OR) and the Integral European Conference (Siofok, Hungary). Below is a list of talks, classes and workshops that Joran has shared with organizations and communities like yours. If you would like Joran to visit your community to offer a talk, class or workshop, please contact him via e-mail at joranslane@gmail.com. We all live a life on the edge – standing at the intersection of identity and on the precipice of what’s to come. International speaker, author, life coach and interfaith minister Joran Oppelt explores the boundaries and future of spirituality through the story of his quest for beauty, goodness and truth. 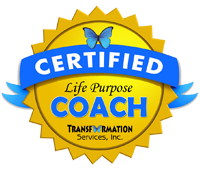 This motivating and inspiring program provides you with the courage and the tools necessary to follow your own edges and move beyond them. Religion in America is changing. Joran Oppelt – international speaker, author, and founder of Integral Church – discusses the role that interfaith and secular communities play in filling the gap created by shrinking churches and temples; where the younger generation is finding religious life outside of its institutions; and what innovative leaders can do to reconnect with them. Who really wrote The Bible? Is it the “greatest story ever told?” How has The Bible influenced modern literature and politics? How do we read The Bible in the age of smartphones and social media? Explore the past, present and future of this sacred text as we review Old and New Testament stories, discuss the spectrum of Christian movements from Gnosticism to Catholicism, study various translations and interpretations of scripture, examine the controversial life of Jesus, and rediscover The Bible in a whole new light. This class is BYOB (bring your own Bible). “I really enjoyed the open and inviting atmosphere of Reading the Bible in the 21st Century. Everyone felt that no matter their level of awareness, they were free to participate. Joran presented the topic and involved the participants in interesting ways through a variety of teaching/learning methods. The handouts were great and easy to read. It was just a wonderful class to attend that supported my personal spiritual path and journey.” – Gary A. “Reading the Bible in the 21st Century put me in a space to think and mold and solidify what I believe, especially about the traditional Bible stories. I also enjoyed listening to others’ interpretations and perspectives as well.” – Clyde K.
A fun and interactive exploration of the divine dialogue we call prayer. You will discover new prayer practices you can use in your life, discuss different types of prayer, learn prayers from various faith and religious traditions (Christian, Hindu, Jewish, Muslim, Native American). The benefits of a daily prayer practice are real, and connecting with real people to develop it can be life-changing. “I wasn’t really praying before now. I was only talking to myself.” — Shannon S.
“The one thing that isn’t explained very well in my [Christian] tradition is prayer. This class brought clarity to why and how we pray and so much more.” — Keirstin P.
“Joran is a dynamic teacher. You’ll be engrossed in the content from beginning to end. He thinks about religion and spirituality from different perspectives and encourages you to question what you’re learning. I left informed, evolved and excited for the next one.” — Rian P.
Come by yourself or with someone you LOVE! This is a heart- and mind-opening experience that explores the topics of self-image, healthy relationship, thriving partnerships, romantic love, attachment/dependency and deep listening. Discover new tools to improve your communication and relationships with loved ones, family, co-workers and more. “Jennifer & Joran are great guides for the journey into getting to know a deeper you. Through their classes, groups, and workshops, I’m fascinated each and every time! Thank you two!” – Jennifer R.
“LOVE: The Art of Relationship was just what I needed. Everyone was so open and willing to receive each other. I felt comfortable to grow and learn with folks I had never met before. I left refreshed and revitalized. My heart felt full. It was a perfect day for me.” – Bea H.
“LOVE: The Art of Relationship was a safe, comfortable environment where my partner and I could experience growth and learning. Provide another one soon!” – Wendy W.
Get Notified About Joran’s Upcoming Classes and Workshops! A deep dive into Integral Philosophy and Spirituality. If you’re hungry for a full-spectrum synthesis of the heart and mind, or for a more integrative and inclusive framework of science, religion, philosophy, art and ethics then this class is for you! One of the primary contributions of Evolutionary and Integral Spirituality in our century has been the ability to discern the difference between stages of consciousness (how we grow up) and states of awareness (how we wake up). This class takes a look at the “spectrum of consciousness” present in the world’s faith traditions and considers the truth (and partiality) found in all worldviews. We will also examine the teachings of integral scholars and philosophers from Aurobindo to Wilber and DeChardin to Whitehead. “Excellent! The significance and importance of Joran’s presentation can’t be overemphasized.” — Steve A. Entrepreneurs, artists, coaches. You have a unique mission in life that includes delivering your content, product or service to those who need it. Learn in-person marketing tips from Joran Oppelt – a media and marketing professional with over 20 years experience in publishing, advertising, creative direction, social media and community management – that will help you find the right audience and turn them into clients. During this four-part course, you will learn how to cultivate media contacts, write a good press release, develop marketing and advertising plans, gain an understanding of basic design and advertising principles, become more familiar with social media platforms (like Facebook, Twitter, LinkedIn and Instagram) and discover how to create messages (and content) that get results. “Joran’s marketing class was amazing. His presentation and handouts were jam-packed full of useful information. His knowledge and idea development approach helped me identify action steps and the time to accomplish them. He answered every question with a wonderful knowledge base and lots of wisdom. Joran is a natural teacher and made each of his students feel comfortable asking any and all questions. I especially gravitated to Joran’s approach to business, which emphasized business from the heart. I recommend his class to anyone formulating a business idea or looking for creative and efficient ways to market.” – Debbie R.
“What an invigorating and educational experience! Joran finds a perfect balance between right and left brain — between thinking and action — to effect change in any individual.” – Angela R.
“An excellent investment of time and money! This class was carefully planned and executed to provide us with valuable and applicable information on everything from branding, to marketing, to time management. I particularly appreciated the way that Joran’s spiritual path and professional background came together through his teachings over the weekend. We were constantly guided, supported and inspired through his genuine caring nature.” – Denise O. This class takes a passionate and pluralistic look at the major world religions. We will learn about the spiritual path, practices, beliefs and traditions of five religious faiths – Christianity, Islam, Judaism, Buddhism and Hinduism. We will also examine the distinct human problem that each religion seeks to solve, how each faith has influenced the world, how it has changed over time and how it is practiced in the world today. Suggested reading: Stephen Prothero’s acclaimed best-seller, God is Not One. “I encounter people frequently that have a one-sided or warped view of what each religion represents. I feel that all would benefit from taking this class. – Brian M.
“I am so glad I attended the Religions of the World class. By the end of the series some [people] released old prejudices. I told family and friends about this class and if it is offered again I plan to bring my Mom and anyone else who will listen. Because of this class I am much more accepting of other spiritual and religious beliefs than I have ever been before. Thank you, Joran. I look forward to the next series.” – Angela M.